I must say this, Sony is leading in pre-orders as of right now, not only that but the ps4 is one hundred dollars less than the xbox one . Which means that if Microsoft doesn’t drop the price of the Xbox One, and remove this mandatory kinect 2.0 from spying on people. This will hurt their sales. Now the next thing is this , Microsoft needs more first party titles, we are tired of seeing the Halo’s , Forza, & Gears of War. Microsoft is running these titles into the ground , we are in the next gen era so we need to see new ip’s out the gate. Sony on the other hand is producing more first party titles at launch , giving gamers more to choose form . The ps4 is more powerful than the xbox one, a prime example is the memory, xbox one is using DDR3 and ps4 is using GDDR5. The harddrive in the xbox one is not upgradable where as the ps4 harddrive is upgradable, the bottom line to this is sony is giving us more value out the box, for one hunndred dollars less.To end all Microsoft needs to gain our trust back with better policies, more exculsive games, and also a cheaper SKU. This is total speculation on your part….. 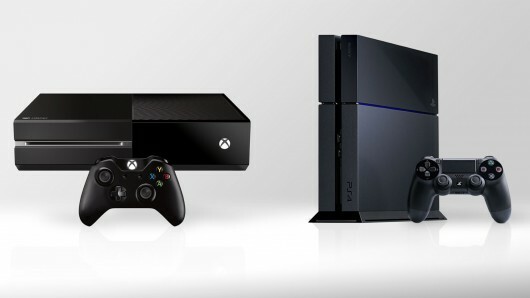 I believe Xbox makes a big move on the PS4 and passes them by November. We still don’t know about the processors in regards to Microsoft. Having a upgraded hard drive doesn’t make it more powerful. Using faster DDR5 ram is good providing it doesn’t create a bunch of extra heat that builds up inside the console. I don’t see MS. making a whole lot of changes, most of the peoples cripes were with DRM, now that this has been put to rest, I think Xb1 will be ok for now. 1. Yes its speculation. Every article right now is. 3. We do. It has the same processor as PS4 does.